Here at the Gaukler Family Wellness Center we have a variety of amenities to help you achieve the fitness goals you are working towards. 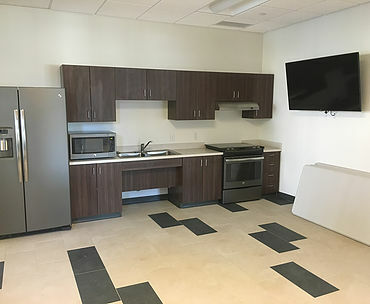 Our Wellness Center has basketball courts, an indoor pool with hot tub, upper level fitness area with walking track, and multiple classrooms for group fitness & an indoor playground. Shirt & shoes are required in our facility at all times with the exception of the pool area. Shoes are not allowed in our playground. Our party room is available for rent. Along with the party room, you& your guests have access to the pool, basketball courts, and also the children’s play area. 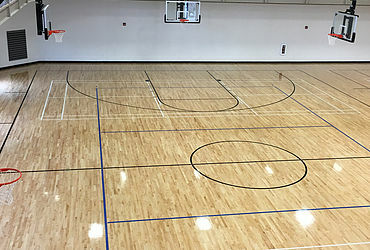 Immediately when you enter our facility you will notice the basketball courts. Our 2 full size basketball courts are open to the public. We have 12 baskets available, members have plenty of room to work on their jump shot! Baskets can be adjusted in height from 8-10ft. Shirts & non-marking sole shoes required. The GFWC also provides a 150m walking/running track with 3 lanes. 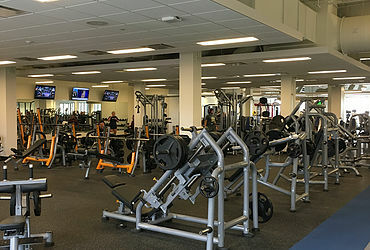 Shirt & Shoes are required in our fitness areas & gymnasium. Located on the upper level of the Wellness Center, our fitness classes provide fun and exciting new way’s for members of all ages to enjoy their workout!